ALL RIGHT, So the boat sounds need upgrade / replacement speakers, what to do WHAT TO DO. After extensive research, scouring the internet outer net and two fishing nets. Here’s what I have done and currently in process. Step 1 replace the broken 4” speakers on the fly bridge. Step 2 replace the cheap rusted speakers on the Aft deck. AKA the lounge and liars den. Step 4. back to being very busy doing nothing. There’s got to be 8 more steps can’t think of what they should be. Maybe beer. Yea that’s it. BEER. X8=12 steps. Perfect. Step 1 is complete. I removed the worn out 4” whatever they were. They stopped working. I thought it must have been a connection so I proceed to cut out all the connections and replace them. Its always a connection Right? Surprise still no discernable sound. ??? Oh yeah look at the speakers themselves dummy. BINGO they are dead. Tossed them out installed a pair of POLK audio MM651UM. Pricey but GREAT sounds. Must be the excellent connections. What else. Step 2 less easy to resolve. could not find out of the box speakers that would fit the location for less than --way more than I wanted to spend. Resolved to buy component speakers and some ready made boxes to fit the location . No satisfaction there SO.. OF COURSE I will just make some boxes. I have a saw after all. Bought the POLK AUDIO db692 6x9 speakers they SAY they are marine rated. Probably should have gone with the MM691. Report back on that later. UUUH well if the first two pictures were rotated 90 degrees clockwise it would be easer to see. I put these in my salon and love 'em so much I added another set. Now I've got 4 smalls in the salon with a sub and another sub on the FB to compliment the 2 speakers up there. Gotta have good tunes!! At a previous marina we had a younger party boats that played hard rock late into the night. Speaking after many requests to turn it down after 10:00 to no avail. So I install two 100 wattsurround sound recievers. One to power 4 out side speakers and one for the interior. So when they did not turn down the volume, I played Christine and country that drowned out there music. They soon got the mrssage. Also on the 4th of July the lake union was set to music, so we turned the volume up. Will post pics along the way. 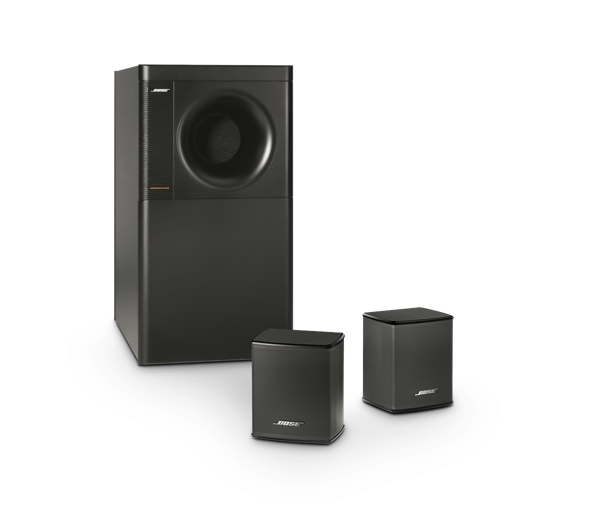 Flywright, I looked at some of the Bose outdoor speakers for the ones I am building. I just cannot find enough detail in the specifications with Bose products. I do not know it they intentionally omit key specs or just think no one cares. I have some older Bose in my house and they suit OK. They were free to me so I use them. Good looking setup you have there. Are the ones you put on fly bridge protected from the weather? Just the Bose Sub with some other brand full range speakers on the bridge I presume? Phil, We too have some late night rockers on our dock. Can't out gun them they have some SERIOUSLY loud systems. Usually turn it down at a reasonable (for some) time at night. I envy the crusing waters of your area. Beautiful vista in any direction..
Flywright, ... Are the ones you put on fly bridge protected from the weather? Just the Bose Sub with some other brand full range speakers on the bridge I presume? Yes, the Bose sub is inside the helm console and the other 2 marine speakers are ALPINE SPS-M600. I had a pair of Sony marine speakers there but they only lasted a couple years before they bit the dust. These have lasted 5 years and are still going strong. I wired a switch at the lower helm to select the FB speakers from below. The FB has a wired remote to my Sony Xplod Marine stereo. I also have a wireless remote to control the stereo from the cockpit. The stereo didn't come with an aux jack, but I added one so I can plug into my iPod or my tablet with internet streaming tunes. When I'm watching a movie, I can run my TV audio through the stereo for quality sound. Two weeks ago I was anchored in a cove with fellow TFers Vern Vierra and Bob Mills. We had the place to ourselves until a 20-ish ft sailboat anchored 50 ft off my stern, then another boat and PWC rafted up to him. I mentioned I should play my stereo and Bob suggested polka music. I found the Andrews Sisters version of the Beer Polka (Roll Out the Barrels) which seemed very appropriate!! I played that song on repeat from all speakers for their listening pleasure. I went over to Vern's boat and took his dog for a walk ashore about 1/4 mile away. I had to chuckle as I was walking the dog when I could hear the polka playing in the distance!! When I returned to the boat, I noticed my stereo was silent, but there was another version of the same song playing from the raftup! My stereo had turned itself off (it does that sometimes... ) and the raftup boats played the song as I entered the cove! Very funny! We later laughed together about the music battle! Now THATS just too funny!!! POLKA I will have to use that as test tune when it's all in, POLKA Dam funny! WHOA, sorry for the delay. Travel and other projects got in the way of loud fun. Steps 1 and 2 complete. Step 3 in progress. Pic 3 is rain cover installed over rear deck speaker. Pic 4 is Amp during temp hookup and testing. Not pictured is the subwoofer in temp enclosure. Yes it will be installed. OK so thePolk DB 692's are great. Sound extremely good to me. Reproduce the mid and high frequencies powerfully. Very good response in the low bass range as well. The enclosures were made from thin Plywood because of the space restraints. Medium Density fiberboard would be better from an acoustical standpoint. I added some insulation I had on hand and they are satisfactory but allow unwanted resonance from the enclosure. I will remove the insulation this winter and install dynamat or something similar to remove the resonance. I expect better sound after that modification. The Pioneer Amp is more than adequate from a functional standpoint as I carefully selected it based on a number of requirements. Power not the primary concern but was on the list. I will post separate entry with the specifications of the components and why they were selected for this installation. Polka music. Who would guess. I took the quick and dirty route for upgrading my old Clarion stereo - because I dread the byzantine wiring and hole cutting that often attends these affairs. I just bought a much newer model of Clarion stereo that has Bluetooth off Craigslist, swapped out the old for the newer in minutes, plugged in with the same harness and dimensions, and ten minutes later began enjoying a major audio upgrade for about $100. "I'm on the dock side of the road." Speaking of sound system, has anyone found a descent compact sub woofer? I have two 5" speakers in the pilot house that are good, but weak on base. I think a sub woofer would be a great improvement, but most are just too darn big. Or have really bad reviews like Pyle Audio. Great thread. Thread highjack? If so I apologize in advance. What is the TF's opinion on the Fusion 750 series? I have 4 different zones that are currently controlled by old radio shack toggle switches. I am thinkingg of replacing the sundeck and FB with what FW (Al) has on his boat with the Bose system. In the salon I want to go with a home theater system. Tom, I'd be cautious about placing those Bose Acoustimass 3's outside. I don't think they'd last long. I have Alpine marine speakers outside on the FB. Mine are all in the salon except my FB subwoofer is inside the FB helm console. So my FB and sundeck are enclosed so they would be out of the weather. Same opinion? I wouldn't, Tom. IMO, the humidity would tear them up in no time. My Alpine speakers do pretty well up there where there's more noise while underway. Even though my FB sub is inside the helm console cabinet, the speaker box is still showing the effects of the environment.